Wake up Jenny! You need to quit running from one carefully orchestrated photo-op to the next playing City Cheerleader and proclaiming Seattle is thriving. What we need is a tough problem-solving Mayor, one who is serious about dealing with the life-threatening, livelihood -threatening, and livability-threatening issues we have in Downtown and elsewhere. Bartells is not the first, only the latest, business to have had enough of lax law enforcement and no serious effort to combat drug addiction and mental illness. Several convenience stores have closed; the word is that McDonalds at 3rd & Pine is closing after 40 years; and now Bartells will not open any more stores Downtown. That’s just a sampling; and all for very similar reasons. Who is next? Macys is an obvious candidate if you are in and around that store regularly, as many of us downtown residents are. 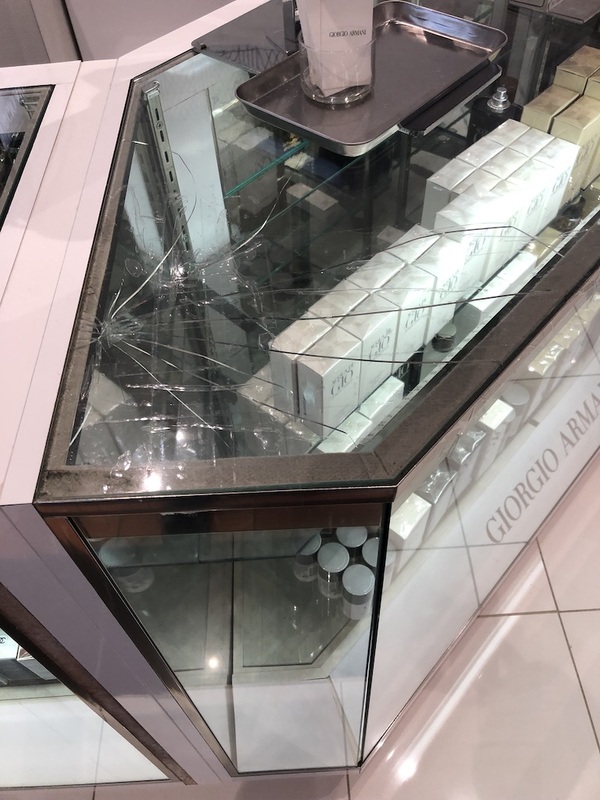 Look at the smashed display case, a symbol of the ongoing and rampant shoplifting. Shoplifters brazenly grab goods and threaten employees when they try to intervene, saying “You know you can’t stop me; it’s just the times.” Then the story is that they go across the street to the McDonald’s, exchange their goods for drugs…a one-stop center. Then they can get their next “shopping order”. No wonder McDonalds has had enough. As Bartells CEO Lentzsch says, this is not a Bartell Drug problem because her competitors are facing the same issue and so are many other businesses across Seattle. Wake Up Jenny before it’s too late for Seattle and your political career. CB119398 will give downtown high-rises a free pass from the SEPA process, an automatic Determination of Non-Significance. We need to tighten controls, not throw wide the gates. A cluttered front porch leaves a bad first impression, no matter what is behind it. The same with a city. We have so many great things in downtown Seattle, but on the way to them you’ll see trash, homeless tents, people passed out on sidewalks, drug deals & injections, traffic gridlock…and on and on. You don’t get a second chance at a first impression, so fix it now! Huge win in Superior Court for downtown livability, as the 5th and Virginia’s (Douglaston) Appeal of the Hearing Examiner’s Remand on Daylighting/health issues was dismissed in Superior Court today. This means that the Hearing Examiner’s ruling stands that the city/developer must dig deeper into the health effects issue to Escala residents. I try to give people the benefit of the doubt, but you really blew it on Tuesday when you were asked about your response to the KOMO News feature, “Seattle Is Dying”; and you said that the show was not representative of Seattle, that most of the city is thriving. How can you be so out of touch with reality? And show no compassion for the people suffering and dying on the streets?